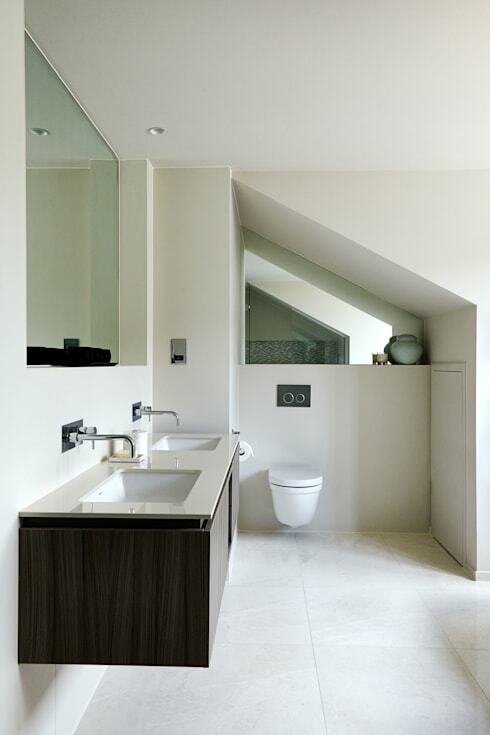 A small bathroom can be a hugely beautiful part of your home, but in a bid to make more out of it, so many people make catastrophic mistakes! 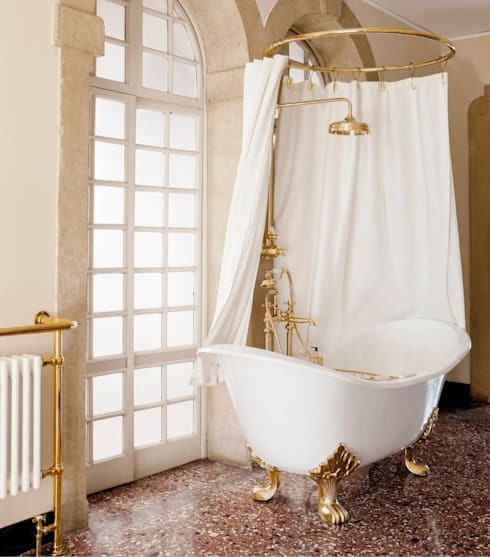 We see the thinking behind their attempts at high-end décor, but they just fall flat and we want to save you from the embarrassment of getting things wrong in your bathroom. 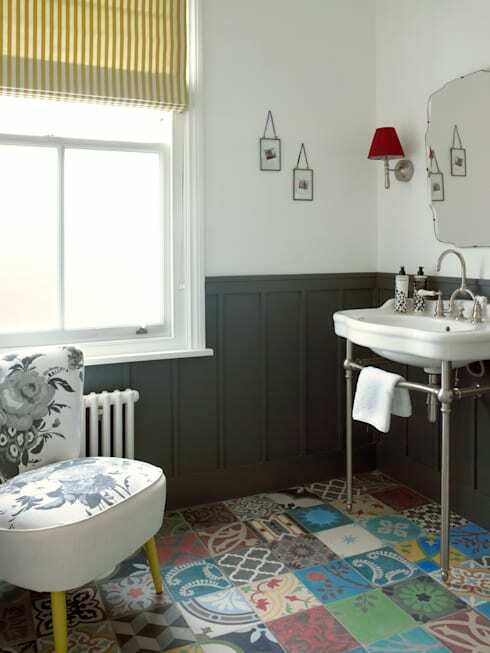 Taking a look at some of the best small spaces out there, which have been expertly curated by talented bathroom designers, we think we know exactly what to avoid in a bijou bathroom, so come with us now as we share our secrets with you! Mistake 1: Trying to be too bold with patterns. We understand that a small space shouldn't be devoid of stunning colours and patterns, but go too big and you'll really struggle to claw back enough perceived room to do anything else. If you love patterns, keep them small and, if you can, use reflective materials to make light bounce off them. Mistake 2: Choosing a sink that takes up too much room. A sink is an important addition to your bathroom, we know that, but unless you absolutely have to have six people crowded around it at once, try to look for something compact. 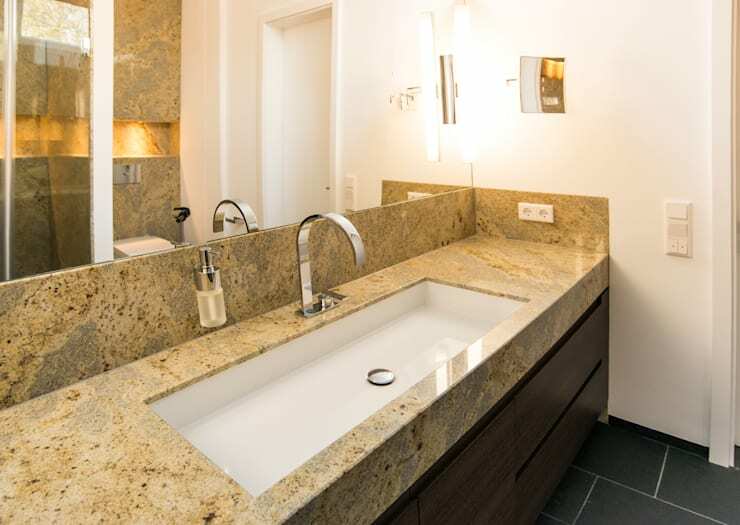 A large sink, especially if it has lags, a vanity of pedestal under it, will really swallow up bathroom space. Mistake 3: Choosing shower doors over a curtain. Shower doors either open in or out of the cubicle and in a small bathroom, that's really going to be a chore! You'll find yourself squeezing past the glass and getting cold, but not if you choose a shower curtain instead. Floaty, movable and pretty, a curtain is far better for a small room. Mistake 4: Thinking square suite options are your only option. Square suite items might be popular right now, but they are far from the only option, so shop around! Square items naturally take up more space due to having corners to contend with, but smaller, rounder items can squeeze into dead space and make them a whole lot more functional! Mistake 5: Not having enough storage that leaves toiletries stored on the floor. 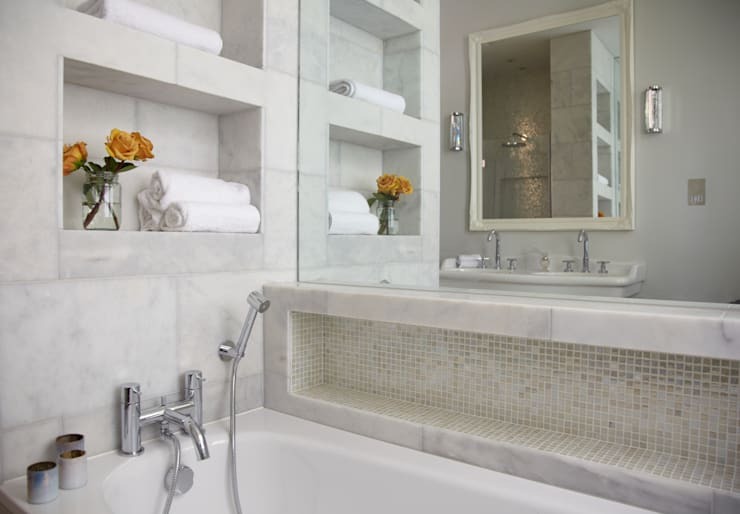 In a small bathroom, you might find yourself thinking that lots of storage will simply take up too much room, so you'll wing it and just not buy too many toiletries. All of a sudden, the supermarket has an offer on and you are stacking things on the floor, window sills and anywhere you can. Commit to storage instead! Mistake 6: Having a small mirror. 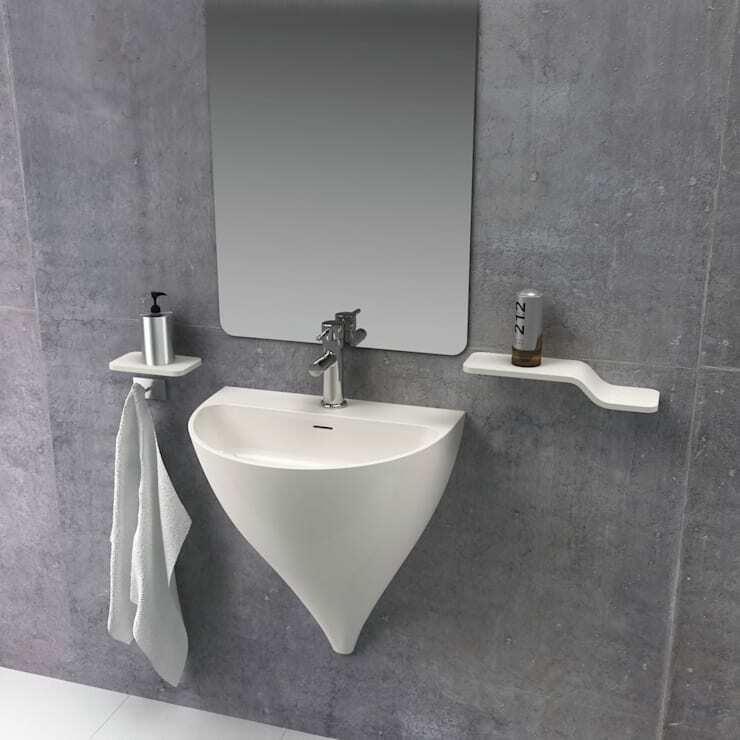 If you want to try and make your small bathroom appear bigger, whatever you do, don't install a small wall mirror! If you can, have a mirror made to fit the ENTIRE wall, as it will give the impression that your space is double the size! Mistake 7: Installing a chunky rack for towels. Towel racks are tempting, as they are so handy, but please please don't go for big chunky floor-standing ones that have no other function! That is such a waste of space! Either choose a heated towel rail, which can be wall-mounted and put in the place of a radiator, or have a wall niche for dry towel storage. Mistake 8: Buying the biggest sink you can. So many people are making their biggest mistakes when it comes to sinks! Try to keep in mind that all you need to do in a sink is brush your teeth, wash your hands and maybe clean your face. Does that sound like a job for a giant sink? No! Go small and free up space for more useful items. Mistake 9: Not installing cabinets. 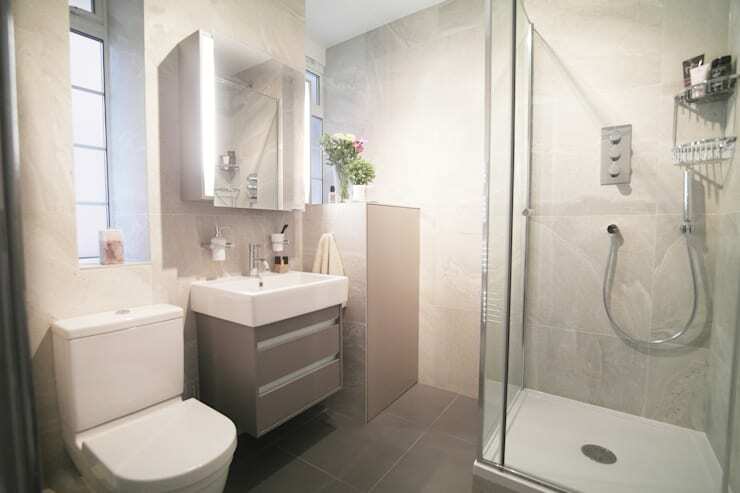 Trying to save space in a small bathroom is a good plan, but don't think that a no-cupboard approach is a quick and easy solution! You need storage more than you need extra floor space, so at least have some drawers or cupboards that can house all your toiletries, spare towels and personal hygiene items. Mistake 10: Letting a cavity or recess go to waste. If you have an awkward space in your small bathroom, put it to good use! If the roof slopes, house the toilet in there or extra storage furniture! Adding an extra mirror, as seen here, is a great idea too, so see that recess as a golden opportunity, not an extra problem to tackle! 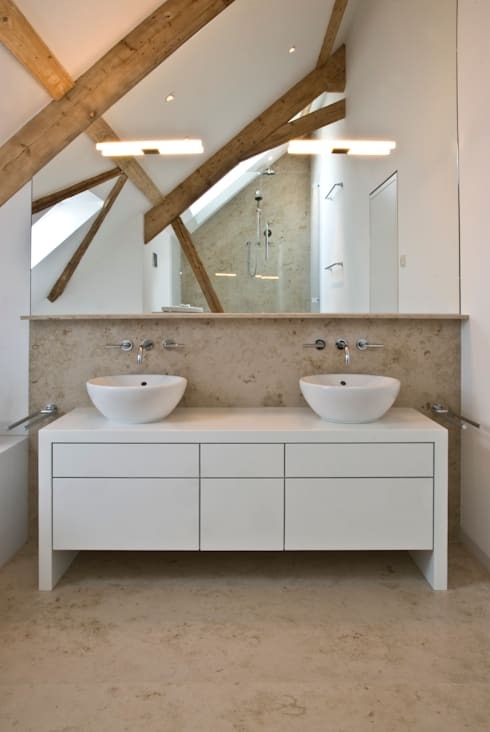 For more small bathroom inspiration, take a look at this Ideabook: Small bathroom design ideas. Have you committed any of these small bathroom sins?